October 21, 2016: MuggleNet Academia Lesson 52 invites Lorrie Kim to join hosts John Granger, Keith Hawk, Louise Freeman, and Emily Strand for a discussion of Snape: A Definitive Reading. October 1, 2016: Alohomora Podcast Episode 203 invites Lorrie Kim to join hosts Alison, Rosie, and Michael in discussing Act 4 of Harry Potter and the Cursed Child. September 20, 2016: Book Jawn Podcast Episode 36 includes Lorrie Kim with hosts Grace Gordon and Sarah Sawyers-Lovett discussion Harry Potter and the Cursed Child. September 14, 2016: Geek of the Week with Monica Piluso of Geekadelphia. August 10, 2016: Philadelphia Inquirer Q&A with Lorrie Kim. July 30, 2016: Author interview with Big Blue Marble Bookstore. 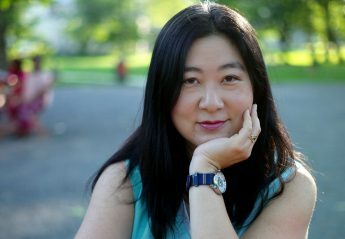 July 27, 2016: Book Jawn Podcast Episode 33 features an interview with Lorrie Kim about Snape. Transcript now available. July 25, 2016: Geekadelphia plugs the release party at Big Blue Marble Bookstore. July 19, 2016: Book review blogger Nicole Moy posted a photo of the copy of Snape: A Definitive Reading that she got at Leviosa in Las Vegas.